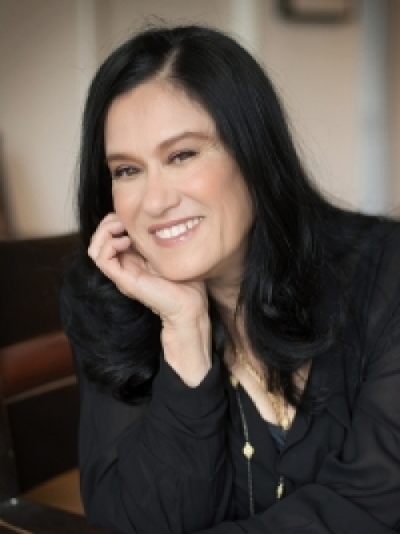 When speaking with filmmaker Barbara Kopple, you find yourself in the company of a woman with more verve, passion and lust for knowledge than many artists half her age. Yet here she is, about to turn 70, as her latest film, Miss Sharon Jones!, is about to premiere. Kopple got her start as an intern with the Maysles Brothers on Gimme Shelter (1970). Her first directorial effort, Harlan County USA, in 1976, took the Oscar for Best Feature Documentary. Not content to work only in nonfiction, she has helmed both feature films and television, earning a Director's Guild America Award in 1998 for an episode of Homicide: Life on the Street. Her documentary work is equally diverse—from tackling social and political issues in films such as American Dream (1990) and Gunfight (2011), to celebrity documentaries such as Fallen Champ: The Untold Story of Mike Tyson (1993) and Running from Crazy (2013), a profile of model-actress Mariel Hemingway. But she has also created an oeuvre of "not-your-typical" music documentaries - Wild Man Blues (1997), which follows Woody Allen and his jazz band not long after the media scandal surrounding his marriage to Soon-Yi Previn; Shut Up & Sing (2006), which chronicles the fallout and evolution of the Dixie Chicks after making a public anti-war statement; and now Miss Sharon Jones!, in which she spent two years with the feisty soul singer as she battled pancreatic cancer. "I've never thought of the music documentaries as an ongoing exploration," Kopple says. "I sort of view each film I do as a separate film, not as something that is thematic, because the people are so different and the stories are so different. I guess in these three films, it's the music that connects them all, and the power of their convictions. Like Woody Allen not caring about what anybody thinks: 'I'm with Soon-Yi. Say whatever you want about me. I'm going to go on and do whatever I want.' Then the Dixie Chicks winning nine Grammys, writing an album about what happened to them in the aftermath of their statement about [then President] George Bush, and their sisterhood becoming even stronger because of it. A lot of those songs would never have come about without that happening to them. And now Sharon....her story is joyous, triumphant." 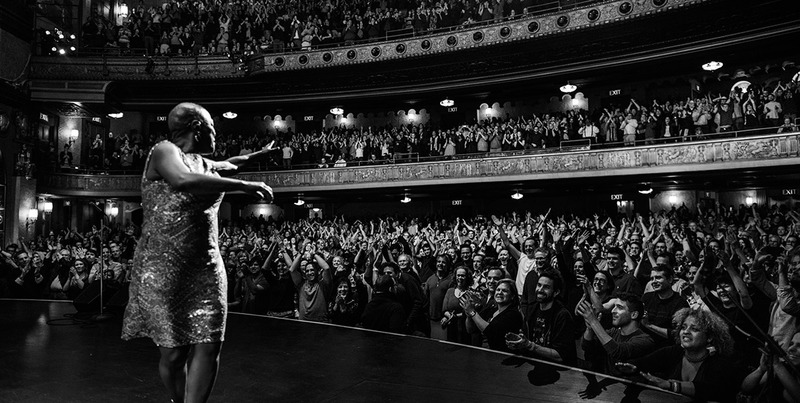 "Triumphant" is a good word to describe Sharon Jones. Her journey to stardom had been a long one. Born in 1956 in a racially segregated Augusta, Georgia, she soon moved with her family to Brooklyn, New York. There, she dreamed of following in the footsteps of fellow Augustan James Brown. But while able to get work as a back-up singer and performing with wedding bands, she had to take steady jobs to survive, including a stint as a guard at New York's notorious Riker's Island prison. "They said I was too fat, too black, too short and too old" to be a star, Jones reflects. But then in the mid-1990s, she fell in with a group of younger, mostly white musicians who were intent on reviving the classic 1960s soul era sound. This group of musicians went on to found the Daptone label, and in 2002, Jones finally had her shot at stardom when her first album, Dap Dippin' with Sharon Jones and the Dap-Kings, was released. The album was a critical hit, and Daptone Records has since brought fame to other performers including Charles Bradley, who was the star of Poull Brien’s documentary Soul of America (2012). The history of the label itself will be the subject of a forthcoming film, Living on Soul: The Family Daptone, from director Jeff Broadway (Our Vinyl Weighs a Ton: This Is Stones Throw Records). Kopple was somewhat familiar with Jones when she received a call from producers Stephen Mintz and Brad Abramson, who had been approached by Jones’ manager, Alex Kadvan, in search of someone to do a film about the singer. "And because I had done Woodstock: Now & Then with [Mintz and Abramson]," Kopple says, "they said to Alex, 'We have just the person for you.' So that was great. They just called me up and asked, Would I like to do a film about Sharon Jones? and I said, 'Are you kidding? I would love it!' That's how it started." It may have seemed an odd moment to suggest a film about Jones, since Kadvan was well aware she had just been diagnosed with cancer, but, says Kopple, "Maybe that was in the back of his mind, but I think he just thought it was just about time to have a film about her. So, yes, I knew she had cancer when I went in. But I never looked at it as a film about a person with cancer. I looked at it as a film about a person who's a marvelous singer, who's got so much energy and perseverance and passion. And I was always just exploring who she was. "So then a week afterwards," Kopple continues, "Alex called me up and said, 'Barbara, I think you should come out and film right now.' I drove up to Albany and that was the first time I met her face-to-face—as she was having her dreads cut off and her head shaved. That was my first day of shooting. "I think the toughest thing in the film for me was that very first day of watching this woman who I was just meeting having this transformation. For me that's how the film's story deepens, right at the beginning. 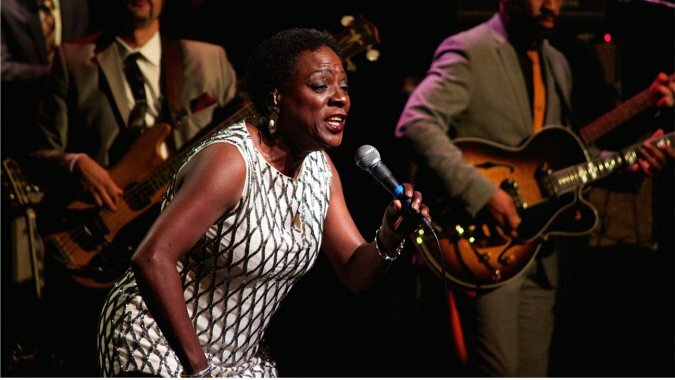 She's the one-and-only Sharon Jones, and she's changing in this way. That was tough." Jones herself wasn't very sure about participating in a film, with all that was happening then. "At first when you just find out you're about to go through cancer and the chemo, you don't know what's gonna happen," she recalls. "So I was like, 'Huh? Are you sure?' Then once I talked with Barbara and the folks at Cabin Creek [Kopple’s production company], it was just amazing. Being able to trust them enough, knowing that they could do a good job - and they really did." In the film, after a brief introduction to Jones for those not in the know, we are there on that first day when Jones loses her trademark dreadlocks. As the film progresses over the next two years of treatment, the fate of her hair becomes a sort of timeline for her journey. "Yes, it is like a timeline," Kopple agrees, "but it's also about her being able to be brave enough to go out [in the world] with no hair, then the hair starting to come back, but still remembering what it was to be so much of the old Sharon, of being able to shake her hair like that. So, yes, it was all part of that transformation." Perhaps the most compelling scene in the film is when Jones, in the midst of her treatments, decides to go to church. We watch her struggling up the steps to the building, but once inside, she is drawn to get up and testify in song. "That was a big thing for me in the church sequence," Kopple says, "watching Sharon not be able to walk up the stairs, getting out of breath, having to really hold on to the railing - and you could just hear her breathing. The minute she got into that church, it was almost as if she was on stage. Then she started singing and the DP, Garry Griffin, shot the singing, dancing and the sitting-down all in one take. He never cut the camera; he just followed right there with her as she sang and gave the mic away, danced. And again, you could really hear her breathing as she was sitting down. That's all due to him and his extraordinary camera work that he was able to capture that moment." "It had been my first time singing in months," Jones explains. "I hadn't sung for months until I walked into that church. To have that energy, to be able to sing - and then the spirit hit me. That was all natural - no fake or pretend. To catch that whole thing in one shot - there were no do-overs - it was amazing to see." For Jones, who didn't see the film until its premiere at the Toronto International Film Festival last year, it was an eye-opener in other ways. "I didn't know what each band member went through," she says. "They never called me up while I was sick, so I didn't know how hard it was for them, [with] one losing his apartment. But the most surprising thing was to see the strength to keep going in myself. To just sit back and see what I went through. To see the changes my body went through. And then I was still able to come through and get back on that stage." The climax of the film is when Sharon and her band take the stage at New York's Beacon Theater as she finishes her treatment. "Before the Beacon, backstage, when I was interviewing her, she was crying," Kopple recalls. "She didn't know who this new Sharon would be: 'Am I just going to go stand there and not move? Or who am I when I get out on that stage? Would I be short-winded?' And she was in tears, struggling with who this new Sharon would be when she finally emerged. She's sitting down and we're watching her in the pitch dark. We didn't even know if anything would come out - I was using the light on my phone for some light back there - and she's shaking and she's trying to get her nerves together, herself together. And then, Boom: it's almost like she's a prize fighter when she gets to that curtain. Nobody knew what was going to happen. But the band, they all had her back." Kopple is one of those filmmakers who keeps up her relationships with her subjects long after her film with them is done. "They just never go out of mind," she says. "We communicate with each other, sometimes more, sometimes less. Even their children or grandchildren will get in touch with me to just talk about their lives and who they are. So I think it's very important to have that link and to keep that bond. For a period of time, you're going through something with somebody who is so close and so intimate that it can never be erased." As for her relationship with Jones, Kopple says, "I've not only been in touch with her since the film, but I just went up to Cooperstown [New York] and sat for hours and massaged her back until she got a professional. She was so funny. She would just take my hand and make it into a fist and tell me where she wanted me to massage. It was like we were a team working together to make that pain go away." Making this film was clearly a personal and emotional journey for Kopple, as well. "Honestly, I wasn't as familiar with the ordeal of cancer as I became with Sharon," she admits. "My really good friend Lou Blumer - who I include at the end of the film in a memorial to different people who have passed away from cancer in 2015 and 2016 - I used to sit and read to her, hold her hand, talk to her when she was getting chemo. I've lost some really great friends in the last year: my mother; Al Maysles, who was my mentor; and [filmmaker] Danny Schechter, who I've known for so many years. "I think what I've taken away from this experience with Sharon is about resilience, being positive and how she was such a steady person, a steady face," Kopple notes. "Even when she doesn't get good news all the time, she's just full of hope and doesn't live from diagnosis to diagnosis. She seems to find her strength from a deeper place - and maybe that's the religious part of her. She imparted that to me - not the religious part of it, but about getting your strength and about being positive. "I remember I would go home after filming her for a couple of weeks and just be so filled with the kind of energy that she puts out," Kopple continues. "She really taught me that when really tumultuous things happen in your life, it's so important to keep on and do the things you love to do and not curl up in a little ball and put the covers over your head - but to be out there. To talk about it and to tell people about it and within yourself, do the things that you love doing. So that's a huge, huge life lesson that I will take with me, always." Jones continues her battle and treatment, having announced after the screening at TIFF that her cancer returned, yet she also continues to perform, touring North America this summer. Kopple is currently editing her next film, a documentary about transsexual You Tube star Gigi Gorgeous, which she hopes to complete in early 2017. Miss Sharon Jones! premieres in theaters July 29 through Starz Digital.